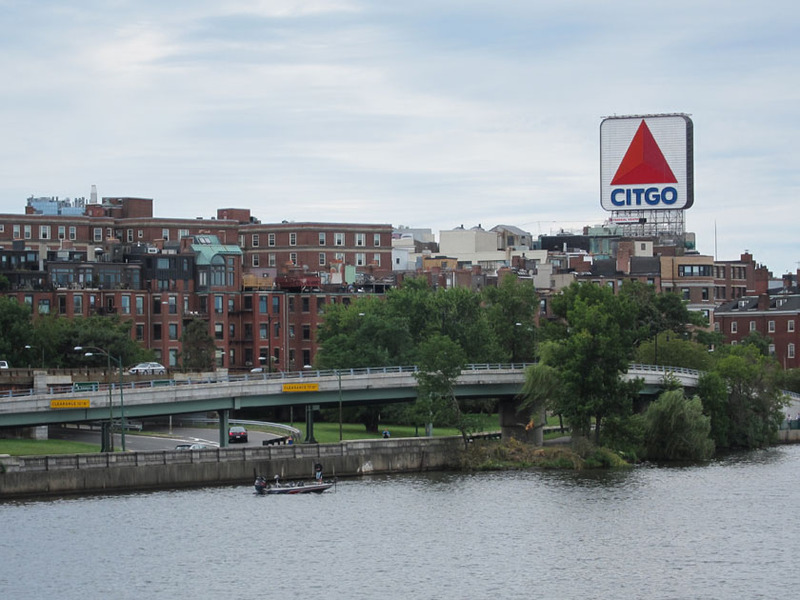 Boston’s iconic Charles River skyline contains a bright, conspicuous CITGO gas sign. You might think this is just an unfortunate billboard ruining the view, but the beloved orange triangle is actually a piece of historic art now maintained by the city. The sign was constructed in 1940 to advertise the Cities Service gas station at 660 Beacon Street. 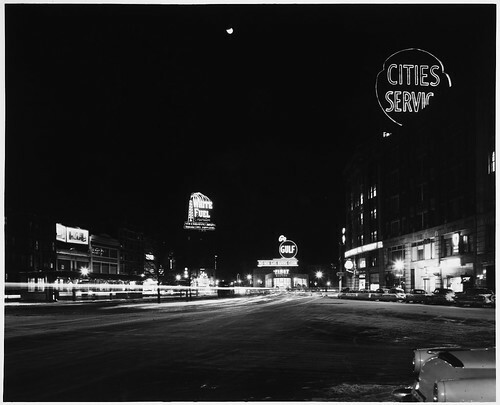 It was just one of many large advertisements in Kenmore Square and was illuminated at night by neon. In 1965, Cities Services changed its name to “CITGO” and erected the familiar double-sided triangle sign seen today. 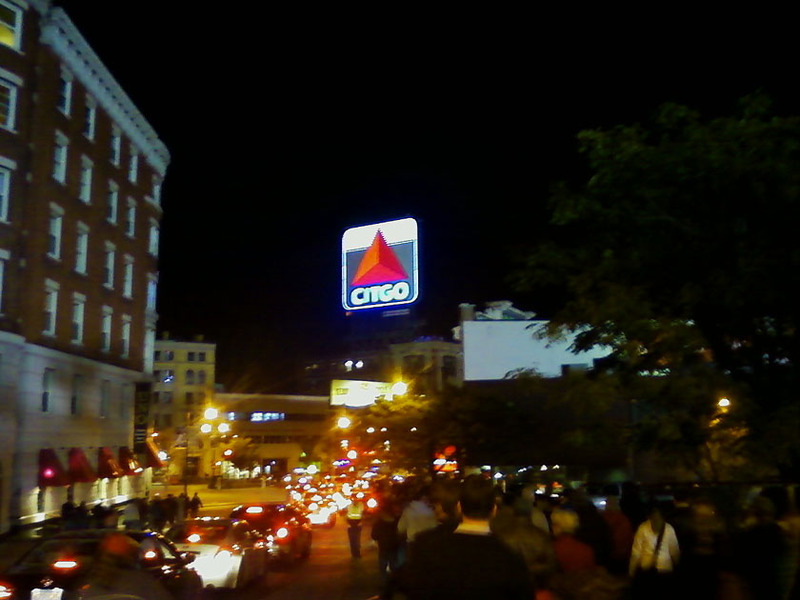 As CITGO prepared to tare down the sign in the late 1970s, a tremendous public out-cry saved the iconic advertisement. 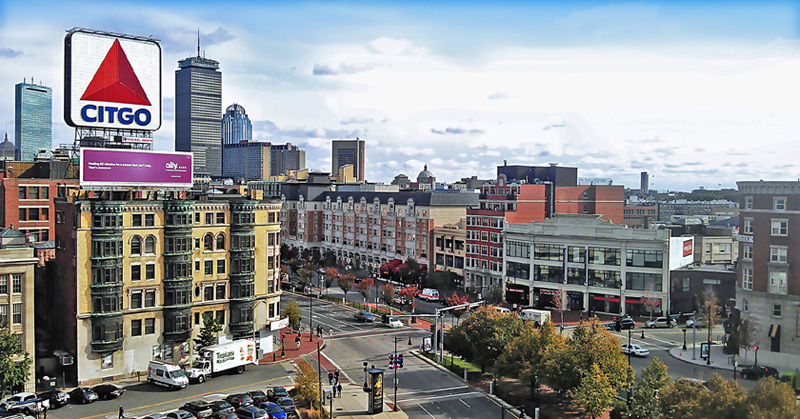 The sign’s connection to Fenway Park may have helped. It is visible over the Green Monster from inside the park and flashes “C-IT-GO” after ever Red Sox home run. The bright flashing sign greets Red Sox fans after a game. The sign has survived the brutal Boston weather including hurricanes and winter Nor’easters. It’s ability to flex 2 ft has helped it stand up to 80mph winds during these storms. Unfortunately, it costs a lot to light up a 60 ft by 60 ft sign from dusk to midnight every night. So from July-Sept. of 2010, the 9,000 ft of neon bulbs were replaced with 3,600 square feet of LED lighting which is more energy efficient, durable and brighter. 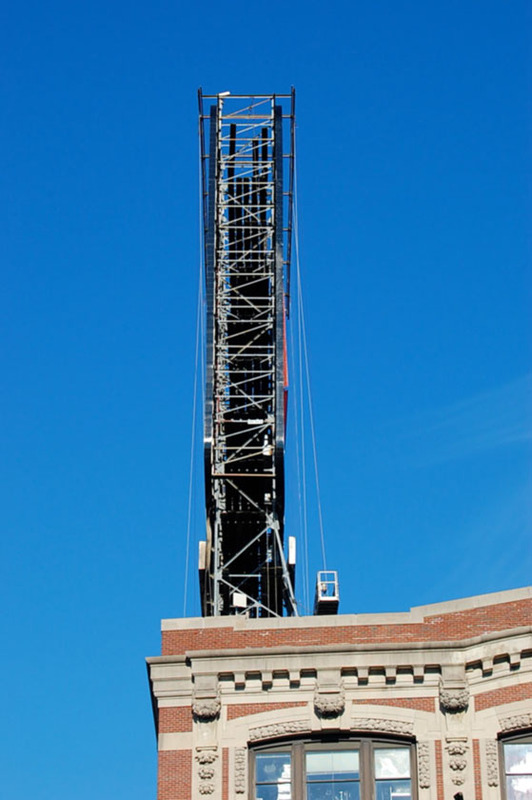 With this dramatic upgrade, the sign will remain part of the Boston skyline for many years to come! So, I work right next to the Citgo sign. I always wondered why it was there.